Vast array of products, equipment, and services supplying Eastern CT and RI. 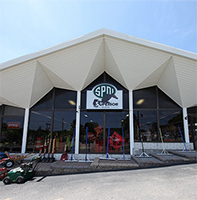 Superior East represents most of the Superior divisions – under one roof to provide all of the same products and services that are available at our main location. Full line of site products, concrete accessories, waterworks, equipment and supplies, rental equipment, instrumentation, as well as our full service facility. We offer same day and next day delivery in Eastern Connecticut and Rhode Island.